When we used to eat fast food, it was no problem for the two of us to spend $20 on a meal, only to have indigestion immediately after and then be hungry again an hour after that. Whole foods can be just as fast, without the side effects. There really shouldn’t be side effects to what you consume as food. These are 5 easy meals that can serve 2 + 2 little eaters for less than $20 and take less time than driving through the local fast food chain. Have you seen the lines at the drive through around meal time?! I’m giving us 30 minutes to get all this done, with minimal dishes, $20 for ingredients, and making the meals somewhat balanced- not perfect, but good enough that we’ll have plenty of energy and not be hungry right away. This smoothie is very filling, I’ll add in nutbutters when I’m using a smoothie as a meal. The banana makes it sweet, the cocoa indulgent. 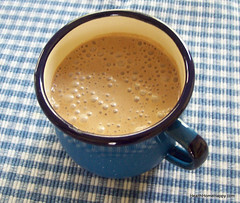 Blend all ingredients and serve with a straw or in a lidded coffee cup if taking on the road. Need mayo? Using a food processor, drop a whole raw egg in and whir it for a couple minutes to bring it up to room temperature. Then slowly pour in 1 cup of olive oil, taking an entire minute to pour it in, then add salt and allow to mix. Reserve half of the mayonnaise in another dish for later. Drain the salmon and put the salmon in the food processor. Peel and then coarsely chop the onion, add that to the food processor, coarsely chop the cucumber and add that. Pulse the food processor a couple times to distribute the mayonaise, onion, and cucumber with the salmon. Serve. This meal is what inspired this post- what I put together quickly as ‘fast food’ in one stop at our health food store. I know that spinach is ideally consumed cooked, but sometimes I crave fresh greens, so that’s what we went with! Heat a skillet to medium high, salt and pepper steak. When skillet is hot, put the steak in it, cook for 5 minutes then flip. Once flipped, turn down to medium low and continue cooking for about 10-15 minutes. While the steak cooks, combine the rest of the ingredients in a blender and whir (don’t drain the pineapple). I can pick up both these items at either our local health food store or Costco, or order online to have on hand. Larabars don’t have soaked nuts, and they aren’t organic, but in a pinch I think they do just fine. I like the apple pie and peanutbutter ones the best. Grassfed cheese (Kerrygold is a common brand) rounds out the meal with healthy fats. Use 2-3 pounds of ground beef, seasoned simply with salt and black pepper. 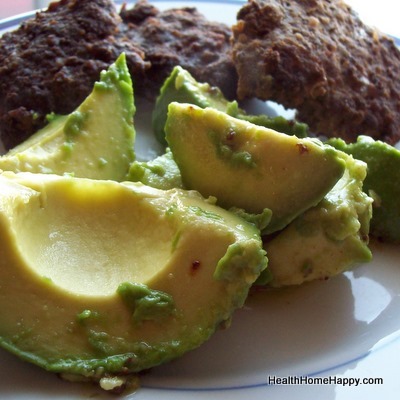 As the patties are cooking, slice two avocados or serve out portions of lactofermented vegetables from the fridge. Slice fresh fruit or serve whole. Grassfed beef franks could easily be used in place of the meat patties, I always have some of these on hand in my freezer (you can buy them here). See? That wasn’t so hard, time consuming, or expensive, was it? And I didn’t even include soups, soups are fast too if you already have chicken or beef stock on hand. Part of Monday Mania at The Healthy Home Economist! Thanks- makes sticking to a healthy, grain-free diet, seem much more do-able than I often think! Do you think this could work for your crew? Sometimes I wonder if this stuff is so simple for me because I only have little kids? Coming from a family of eleven, that is a bit pricy for one meal. Most of what we eat is under ten dollars for everone’s meal. Thanks though! Mmmm. Bunless burgers are one of our favorites too. I’ve found that they are super delicious when fried up in some butter or ghee, then with cheese on top and served with homemade mayo, ketchup, and lactofermented pickles. Another favorite meal for us is what I call “cold lunch”: nitrate-free coldcuts with cheese, carrot sticks, pickles, boiled eggs, and nut-based crackers if we have any on hand. For something crunchy on the side, we’ll use pork rinds dipped in sour cream. Thanks for all of the ideas! I notice that nuts and seeds seem to be used a lot in the grain free menu, to compensate for grains, I suppose. This is curious to me. I’m under the impression that seeds and nuts have many of the same problems (phytic acid) that grains have. Good question, it took me awhile to have the time to come back and answer :) The menu avoids grains mostly for the sake of staying on the Specific Carbohydrate Diet, and because many people don’t digest grains or gluten well. We do soak most of our nuts in salt water, which should reduce the phytic acid. Thanks Much! I’m interested in Gaps and similar diets mostly from a tooth health standpoint, so I’ve been thinking of nuts as off-limits. Probably this is behind my shock at the amount of nuts I suddenly was using when I tried out your menu. I see! You may want to use more dairy then, I try to do more nutbutter than yogurt and cream cheese for my families doing the diet for autism, but if you used cream cheese (dripped yogurt cheese) in place of nutbutter as spreads, plus used cheese more than nuts as a snack item, it might work better. Well, so much for my McDonald’s and Burger King addiction. You are right – after ingesting those burgers, I’m still hungry and the indigestion begins. Thanks for making it sound easier. I am struggling right now because of food allergies for spices, etc. I was using to make it all work and it is great to hear this. I am curious what you would say about Kristen’s comment above. Great post! I can always use ideas for quick food. Avacadoes are often on the menu in our house. A bunless hamburger smothered in guacamole is one of my favorites. I’ll have to try nut butter in a smoothie sometime. Thanks for sharing over at smartpassiveincome. My post (at another blog) was about the controversies in healthy eating. 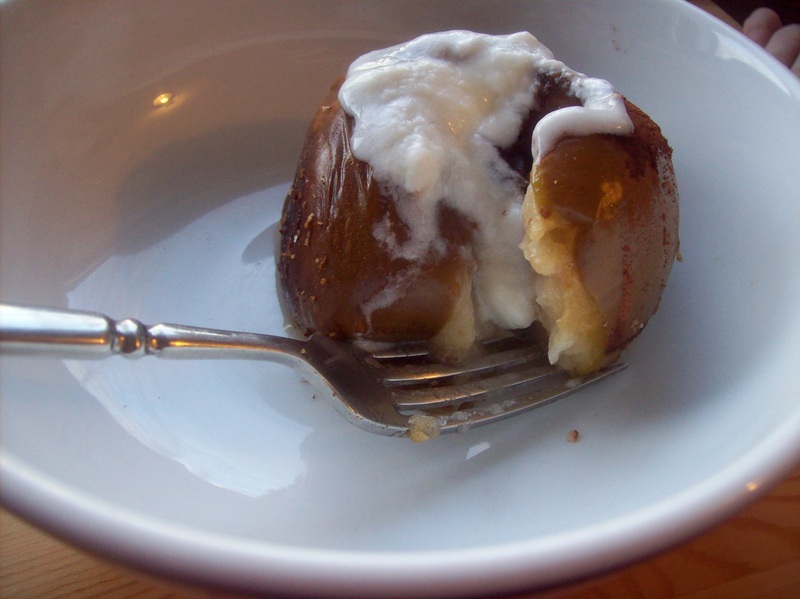 It was nice to see another “healthy eating” blogger post over there! I must admit that I wouldn’t have thought about a green smoothie. But, it sounds delicious and may actually help my kids in eating some spinach. Great article. I’m going to have to try the salmon salad, it sounds really good. With the mayonnaise, do you worry about the raw egg and salmonella? Chicken thigh lover here too! Two nights ago I threw some in a cast iron skillet with some coconut oil, fried until beautifully browned and then added some coconut milk and spinach. I was going to add a handful of garlic but in the end used only salt and pepper (only because I forgot to put the garlic in!) It was a hit with everyone from the kids (12, 13, 15, 17) to Dad and Grandma. There seem to be quite a few of us Alaskans on my favorite food blogs, have you noticed that? Your site looks really good. Easy to navigate, and very clear! We just moved so my food plans have been so last minute. Thanks for your suggestions!! Sounds good and the photo of the avocado made my mouth water! If you want to have those fresh greens in your smoothie while still avoiding raw spinach and kale, try romaine instead. It blends up beautifully and doesn’t leave that spinach mouth feel. Regarding nuts. Yes, nuts are better soaked, but comparing nuts and junk foods? Soaked or not nuts are a better option. And when trying to sub typical grain flours when you need a fix, nut flours work surprisingly well. I have 4 children, 3 boys and 1 girl. My oldest child, Elijah has Autism. We also homeschool. We are crazy busy. Anyway, when out and about, a bag of walnuts with raisins can save the day when we need something to tide everyone over until we get home. Also we love boneless, skinless, sardines, great easy snack. Love your website! I’ve been sharing it with my friends. Hey, there, cocoa is approved for advanced GAPS diet. Question about fruit served with meals. I thought i read in the Gut & Psychology Syndrome that you shouldn’t eat fruit with your main meals because they interfere with digestion. That you are only supposed to eat fruit as snacks. Is that not the case? Thanks! Good post! At least it gets people thinking! For the burger one, we usually do 1 lb of GF Beef (At our WF its around $7 depending on if they go over 1 lb)….1/4 lb burger patties for everyone. Then avocado/tomatoes/lettuce on the side with olive oil and salt. I usually bake sweet potatoes in coconut oil or cook fresh green beans with a small salt pork or saved up lard I have. Totally cheap and healthy! Even buying grass fed and organic. For a real splurge we do a few shavings of Raw milk cheese on top. Another inexpensive one is cooking a whole chciken with veggies and water to make Chicken and veggie soup, then the extra chicken used the next day for another meal. Sometimes homemade BBQ sauce and left over sweet potatoes or green beans from the burger meal.